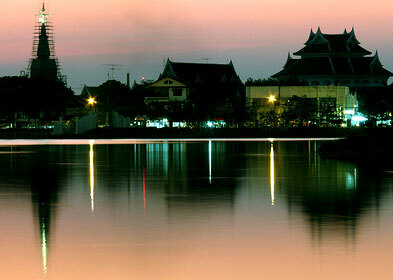 In 1563, King Setthathirat made Vientiane (in Lao language Vieng Chan) the capital of the kingdom of Lane Xang. The two most important Wats of Vientiane, Wat That Luang and Wat Phra Kaeo date back to that time. In 1827 Vientiane had been conquered and sacked by a Siamese army. For decades the town lay in ruins, until the French, at the beginning of their colonial reign rebuilt it. 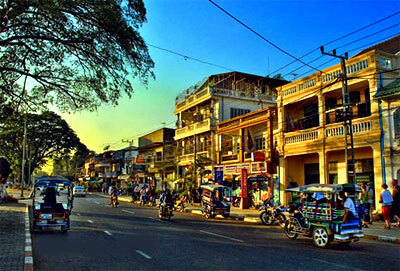 However, Vientiane today does not feature French-influenced architecture to the same extent as Phnom Penh and Saigon. Instead there is a strong Thai influence. With barely half a Million inhabitants Vientiane is the smallest capital in Southeast Asia (except for Bandar Seri Begawan of Brunei). Nong Khai is located on the border of Thailand and Laos, on the Mekong River. It is a common stop for travellers between the two countries. Departure for flight to Udon Thani, Laos. Upon arrival, meet and transfer to hotel. Free and easy at leisure at Charonensri Complex. Then we will start the day trip to visit Ban Chiang Museum after lunch. Right after dinner, we will proceed our shopping trip to Udon Thani Night Market. Finally we will take you for overnight stay at Charoensri Grand Royal Hotel (5*). After breakfast, we will start the day tour to Ban Phu District. Discover the Wat Phra Phuttabat and also Phu Phra Bat Historical Park. After lunch, we will proceed to depart to Nong Khai where we will take you to the The Sadej Border Market, Wat Po Chai and Sala Kaew Koo. Free and easy at leisure after dinner. Overnight stay at Nong Khai Grand Hotel (4*). In the morning after breakfast, we will take a trip to cross the Thai-Laos Friendship Bridge and then onwards to Vientiane, Laos capital city. We will start our afternoon tour after lunch to Laos "Morning Market". It will be free and easy after dinner. Overnight stay at Vientiane Royal Hotel (3*). After breakfast, we will take a drive back to Nong Khai before heading southwards to Udon Thani, Thailand. Upon arrival at Udon Thani, visit the Ban Na Ka for Cotton and Silk products. After that it will be free and easy at leisure and shopping at the Charoensri Complex. Overnight stay at Charoensri Grand Royal Hotel (5*). After breakfast, it will be free and easy at leisure for you until it is time to transfer you to the airport for the flight back to Singapore.